Angry Birds and Cut the Rope are one of the most popular games on mobile, and coincidentally both got updated with new levels at just about the same time. 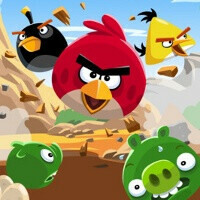 For Angry Birds, the update comes as a celebration of Rovio’s game third ‘birdday’. The update that has arrived brings 30 new levels, a new pink bird and even an explosive cake. Additionally, Cut the Rope has also been updated, adding a new Steam Box with 25 new levels. You get more candies for Om Nom that you’d have to get in a world of steam clouds float in the air with low-to-high pressure valves controlling the steam. Blow steam to get the candy rising to the ever hungry Om Nom. The games are available on iOS, Android and Windows Phone.